Vietnam has experienced 30 years of successfully attracting foreign direct investment (FDI) and more opportunities stay ahead. Caitlin Wiesen, UNDP country director in Vietnam, writes about the need for the country to shift the FDI focus from quantity to quality. Vietnam is a foreign direct investment (FDI) success story. Since the early economic reforms initiated 30 years ago under the doi moi policy, FDI has become a major driver of the country’s economic development. Today it is critical that the quality, not just the quantity of FDI is harnessed to accelerate results for more inclusive, sustainable development in Vietnam, with no-one left behind. Within the dynamic ASEAN region, Vietnam is a destination for a substantial amount of FDI ($14.5 billion in 2015), trailing only Singapore ($70.58 billion), and Indonesia ($16.64 billion). FDI inflows into Vietnam have been stable compared to other ASEAN countries. Notably, investment in manufacturing accounts for almost 70 per cent of total FDI in Vietnam – the largest proportion of FDI in manufacturing in the ASEAN, followed by Indonesia (40 per cent) and the Philippines (38 per cent). 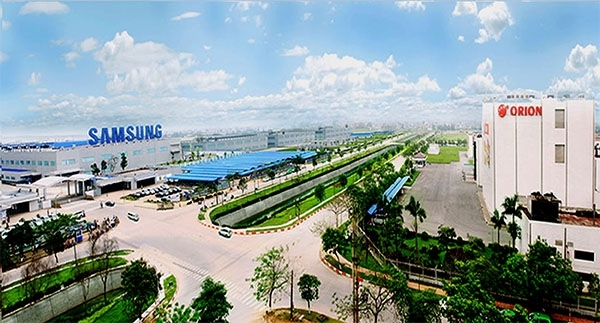 FDI plays an important role in Vietnam’s economy, with contributions increasing to around 20 per cent of the country’s GDP (from 15.2 per cent in 2005), 72 per cent of the country’s exports (from 57 per cent in 2005), and 18 per cent of government revenue, and creating 3.7 million jobs for Vietnamese workers in 2017. So why do outwardly successful policies for FDI attraction need improvement? In its next stage of development, while pursuing a more inclusive growth pathway and achievement of the Sustainable Development Goals, lower middle-income Vietnam must move up in the global value chains (GVCs), and its economy needs to transition from a growth model based on utilisation of cheap labour and exploiting natural resources to one based on innovation and greater efficiency. Its enterprises need to improve productivity and competitiveness. More jobs, with higher value addition and better working conditions and generating higher income for workers, will need to be created for all Vietnamese people. The economy needs to undergo a transition to become greener, more environmentally sustainable, and more resilient to climate change. FDI will need to be an integral part of such transitions and contribute to Vietnam’s new development stage. Firstly, linkages between foreign-invested and domestic enterprises will need to be solidified. Research shows that despite rapid rises in exports, FDI forward and backward linkages with domestic enterprises are still modest. While the linkages in resource-based manufacturing (basic metals, chemicals, and textiles) tend to be stronger, they are particularly weak in high-tech manufacturing sub-sectors (electronics, computers, and motor vehicles). Strengthened FDI and domestic linkages – measured by the level of local content in foreign-invested enterprises’ (FIEs) products, Vietnamese companies’ linkages to GVCs, technology transfers to domestic companies, and utilisation of higher levels of Vietnamese workers’ skills – will help create more productive jobs and allow Vietnamese companies to increase productivity, value addition, and competitiveness. Secondly, Vietnam needs more FDI with higher levels of technological sophistication that is greener and low-carbon. Such FDI will not only require and utilise higher skills, thus creating more productive and better-paying jobs for Vietnamese workers, it will also contribute to higher productivity and a competitive, energy-efficient, and greener economy through better linkages with domestic companies. Thirdly, Vietnam needs more FIEs that provide better working conditions and social protection for Vietnamese workers in accordance with the UN Guiding Principles on Business and Human Rights. This is necessary to meet the higher expectations of people in lower middle-income Vietnam (income increases as the middle-income class emerges) and contribute to achieving the human development aspirations of Vietnam. International experience shows that FIEs with higher technological sophistication that rely on higher skills and experience of local workers and have better linkages to local companies tend to have longer-term engagement in local economies and stronger commitments to their workers’ job security and working conditions. FDI in Vietnam according to pundits, illustration photo. Furthermore, the education system can be augmented to create a talent pool of people equipped with the appropriate skills to capitalise on the benefits of Industry 4.0.To attract this higher-quality FDI, attraction policies must be formulated and implemented as an integral part of the country’s socio-economic development strategy, economic restructuring actions, and domestic private sector development. In this context, greater focus could be placed on the creation of sustainable technology startups that usher in the benefits of Industry 4.0 technologies by adding significant competitive advantages to industries and even transforming the entire process. It is important to prioritise international standards and requirements in terms of technology requirements, domestic content, technology transfers to domestic companies, and linkages to GVCs, together with requirements for compliance with stricter energy efficiency and environmental safety standards, working conditions, and social protection. A strengthened regulatory framework, institutional capacity, and systems for rigorous screening, appraising, and approval of foreign-invested projects will ensure adherence to international standards and requirements. Going forward, Vietnam must limit the harmful competition of using tax and other incentives to attract FDI between provinces and move away from using tax incentives and other privileges as a means to woo FDI. Instead, the country should focus on creating other more fundamental incentives to attract high-quality and long-term FDI. These incentives should be underpinned by high human resource skills and capacities, the large effective purchasing power of the population (meaning a large internal market), long-term predictability of investment regulations, consistent application of the rule of law, political stability, quality infrastructure (transportation and utilities), and competitive domestic support services and supplies. International literature and experience indicate that such incentives are much more effective in attracting high-quality and long-term FDI. While understanding it is challenging for Vietnam alone to reduce tax incentives as a means to attract FDI given the strong regional competition, it is important that Vietnam continue and strengthen its active participation in international initiatives (such as Tax Inspectors Without Borders and Base Erosion and Profit Shifting Inclusive Framework) for countries to jointly develop and apply codes of conduct to address harmful tax practices related to FDI (in attracting FDI and reducing “price transfers” and other FDI tax avoidance practices). The international code of conduct for attracting FDI, if developed and applied by many countries, will set new rules of engagement in competing for FDI that will be based on these “fundamental” incentives./.